Swipe and Roll – the new NetEnt slot game, has five reels and 20 pay lines, which allows the game to be played on all the devices from 20p a spin. 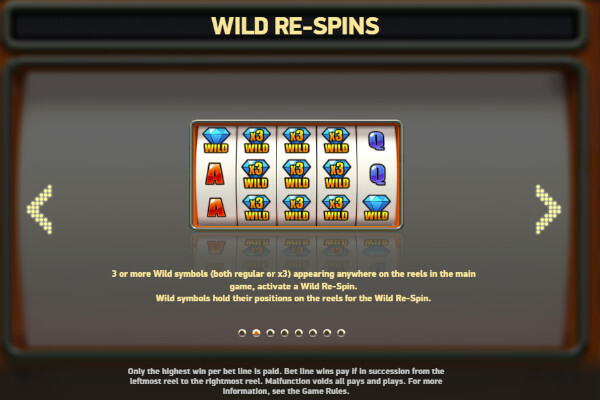 The game has a wild Re-spin feature, which ensures that the wilds remain on the reels allowing a free re-spin to follow leading to another 27x multiplier being applied. The coil wheel feature ensures that you get enough money and a bonus game feature where you can quickly swipe three wheels to ensure that get higher cash prizes. 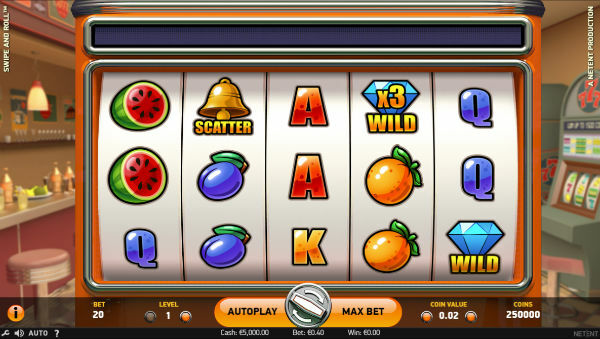 The Swipe and Roll gaming slots have the best graphics as compared to other slots produced by NetEnt. The game has a 60s style music giving the game a sense of cigars and spirits in the atmosphere. Some of the symbols in the game include A, K and Q playing cards including watermelons, oranges, and plums. The watermelons give you 15 times your stake for five across a pay line. 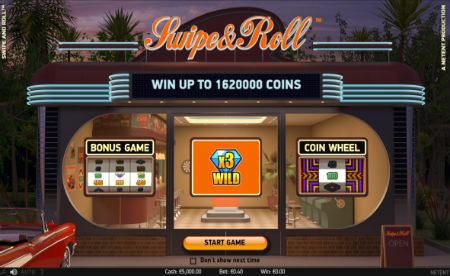 Regarding the bonus features, swipe and roll have many bonus features, which are played when 3 or more wilds appear on the reels. The game also has a coin wheel feature, which is randomly triggered in the base game and it can reward you with cash prizes, scatter symbol and arrow symbol. Regarding coin wins, the wheel will re-spin if your win is lower than 5x times your total stake, which allows you to win cash prizes of up to 54 times your stake. However, the video slot has no free spins feature, but it offers you a chance to fill the two middle reels with 3x wilds, the 27x multiplier could lead to 8,100 times your slot.